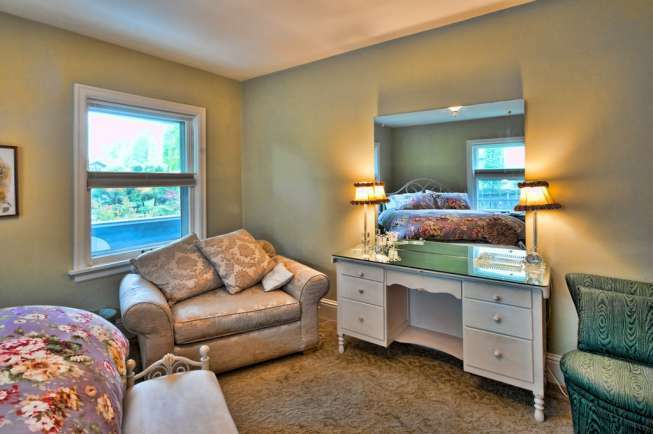 Clearly Crystal is restfully decorated and located on the main floor for easy access with a view of the front yard. 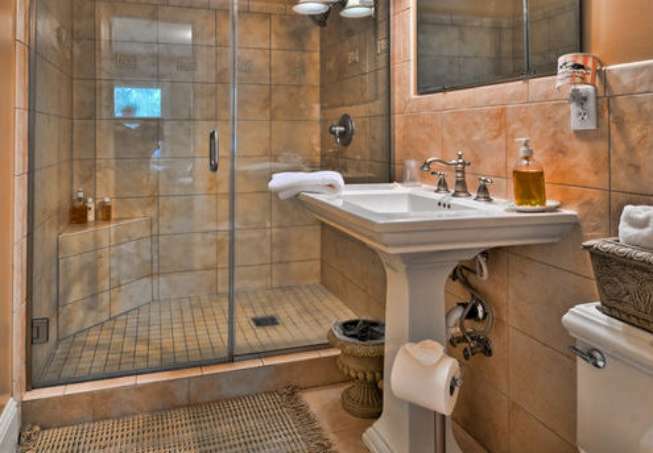 It has a private bath with a large, walk-in shower. 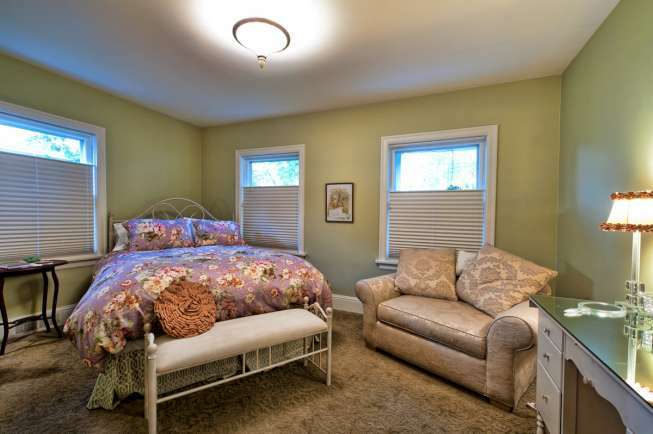 Guests of the Maxwell House have opportunity to enjoy our beautifully restored Craftsman-style home with a warm living room for use at anytime, a serene private yard, and a fabulous porch – perfect for afternoon tea and a good book. 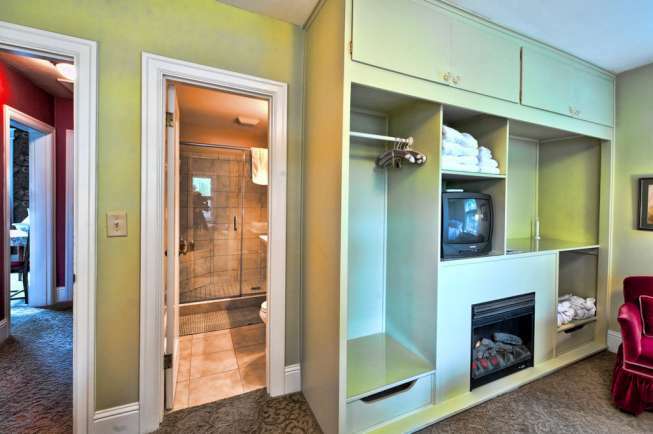 Each bedroom has cable TV, an electric fireplace, fluffy terry-cloth robes and wireless internet access. 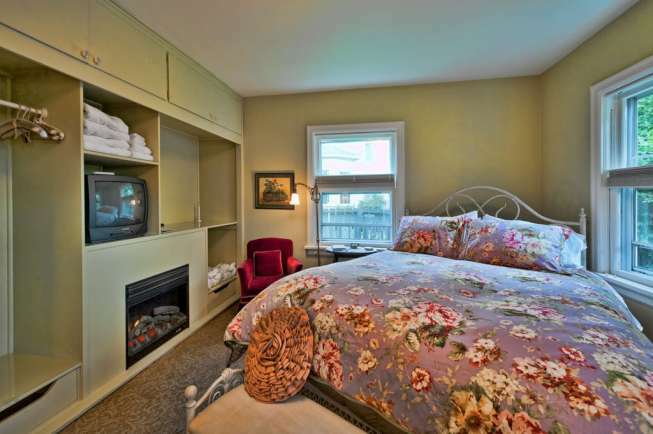 Your stay includes a delicious homemade breakfast, refreshments and comfortable hospitality. There are even bicycles available for exercise or sight seeing. Please read our INN POLICIES for more information about your stay. 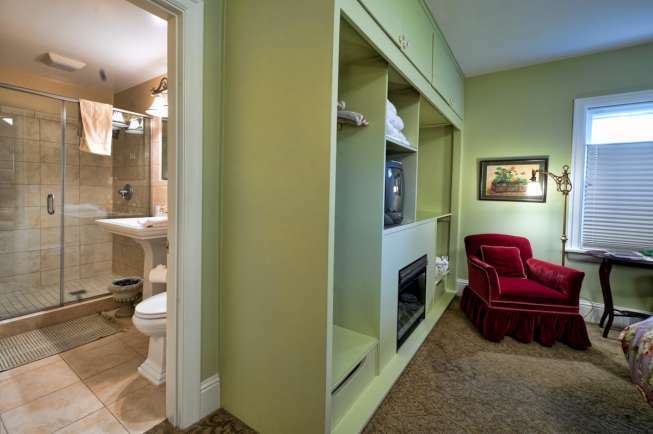 Check Availability & Reserve Rooms Enter a date, and we will check our online schedule for the time frame you select and show you our availability.